(CNN) - Democratic incumbent Steve Beshear easily won a second term as Kentucky governor Tuesday. Most political observers had predicted that Beshear would cruise to a relative easy win over his Republican opponent, Kentucky state Sen. David Williams. With all precincts reporting, Beshear led with 56% of the vote and Williams had about 35%. Independent Gatewood Galbraith finished with nearly 9%, according to results from the Kentucky Secretary of State. The race in Kentucky centered largely on the state economy, with Williams criticizing Beshear's record on creating jobs and balancing the state budget. "They have not balanced the budget nine times, the present budget is not balanced, and their own budget director says they have no plans, don't know how they are going to balance the budget even this year," Williams said Tuesday to a group of supporters, according to the Louisville Courier-Journal. Beshear also focused on the economy, keeping a running tally of numbers of jobs individual companies were bringing to Kentucky on his website. 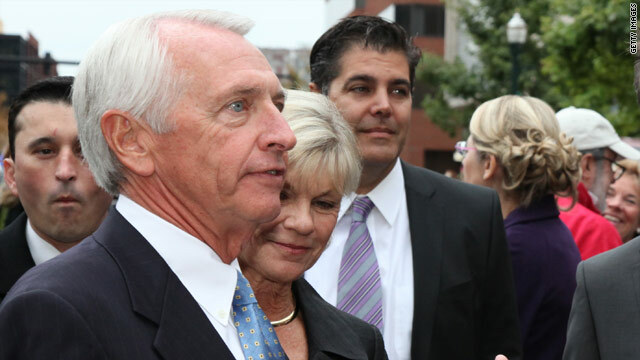 The Courier-Journal reported that Beshear spent the final hours before the election announcing a new $1 million federal grant for local foundations in Appalachia. Eight out of the past nine governors in Kentucky have been Democrats. Ernie Fletcher, a Republican, served one term as governor from 2003 to 2007. Kentucky's two U.S. senators, Minority Leader Mitch McConnell and Rand Paul, are both Republicans. The state went red in the 2008 presidential election, with 57% of voters supporting Sen. John McCain and 41% casting votes for then-candidate Barack Obama. This is a sign that American's are waking up..We know who is to blame for high un-employment.....And it's not the President or this Governor.....NIce try GOP....We Got Ya !!!! he is the best man for the job and I think alot of states could learn from his example....we need him in congress!!!! We're moving on UP!!!! Almost EVERYTHING the Republicans TRY to do was REPEALED!!!!! From Maine, to Ohio then to Mississippi – We UNDID the RIGHT's attempt to UNDO the middle class!!! Vote out Mitch" McConnell . Make this his last turm ! Only reason he won was the Republicans were pathetic. This guy couldn't govern a room full of monkeys. He is a gambler. Raising money by sin. He will answer for it one day. Another term of no progress for Kentucky, so sad.